Our latest segment ‘Lead In: A guide to understanding and discovering techno’ intends to explore and describe the vibrant facets of both, the dominant and the upcoming sub-genres of electronic music as well as influential artists who have contributed to the evolution of that particular style. Having said that, our second edition focusses to one of the most culturally influential genres of all time – Techno. The period between the 1980s to the 1990shad a hugely creative influence on music in general. The house music revolution was spreading like wildfire in Chicago and the influence slowly trickled down to other cities such as New York and Detroit. But it was Detroit and the artists who belong to the once-thriving industrial metropole, who are responsible for the birth of Techno. The Beleville Three – Juan Atkins, Derrick May and Kevin Saunderson are credited to being the pioneers of the genre. A common interest in the more mechanical and modular aspects of electronic music brought them together. Some of the artists that the group was inspired by include Depeche Mode, Kraftwerk, Bootsy, Parliament, Prince and the Yellow Magic Orchestra. The trio laid the foundation for this style of music that was first called the “House sound of Detroit” and later changed its name to “Techno”. It quickly spread like wildfire across Europe and particularly the United Kingdom, Germany, and the Netherlands and was hailed as music “from the future”. Juan Atkins is often regarded as the “Godfather of techno”, Derrick may as the “Innovator” and Kevin Sauderson as the “Elevator”. You can learn more about the history of techno in this excellent documentary called “Hi-tech Soul”. Techno is a genre that is based on a 4X4 beat-pattern and many variants of the same ( break-beat, offtime ) that in most cases consists of bass-heavy kick drums, percussions, synthetic basslines, morphed vocals and modular sounds. The style was mainly based on the instruments that were involved in producing the sound, namely the Roland 909, 808, 303, 202 and the SH-101. It could be considered as the first genre of music that was entirely produced by electronic instruments at a time when sample-based production techniques and producing music using traditional instruments were the norm. The genre now has many established variants such as Dub Techno , Melodic Techno , Acid Techo, Industrial and Hard Techno. Revered as the founder, Atkin’s works span from early electro under his ‘Cybotron’ guise, early techno under his ‘Model 500’ moniker and later techno works such as those under his ‘Infiniti’ and ‘Channel one’. Juan credits his musical approach and identity largely to the Detroit radio shows of Charles “Electrifying Mojo” Johnson. His futuristic approach to electronic music production paved the way for generations of DJs and producers to follow suit to this day. Part of the “Belleville Three” and also “Deep Space” along with Juan Atkins, Derrick’s works although controversial to a degree made an indelible impression during the nascent periods of techno. Also known as ‘Mayday’ and his most famous alias ‘Rhythm is Rhythim’. His label “Transmat recordings‘ is still tagged as one of the most forward-thinking techno labels of its time. Derrick was also a mentor to other Detroit veterans such as Carl Craig and Stacy Pullen. His track ‘Strings of Life’ ( which incidentally was named by Frankie knuckles ) is widely considered as one of techno’s finest anthems. Some call him a genius, others call him an alien but most commonly known as the “Wizard”, Jeff Mills and his revolutionary contributions to innovations in techno hold providence even today. Responsible for bringing about the rise of the infamous techno collective “Underground Resistance” together with “Mad Mike”Banks, Jeff’s extraordinary skills behind the console, in the club and in the studio has inspired countless generations of DJs. His musical contributions include releases on labels such as Tresor, Sony, and React. In 1992 he formed his own label called “Axis records” and continues to release music designed along contemporary and futuristic lines even today. More recently Jeff Mills was also asked by NASA to program a radio show on intergalactic space and music. Techno is everything you haven’t imagined of yet. Founder of the seminal techno act “Innercity” and the third member of the Belleville Three, Kevin Saunderson’s music traveled continents and brought the Detroit techno sound to Europe where it exploded. His tracks “Big fun” and “Good Life” would go on to enter in the UK top-40 and sold millions of copies. His other projects include “Kreem” with Juan Atkins and “E-dancer” that is centered more toward the underground. Kevin is also credited with forging the ‘Reese Bassline’ that was an integral part of jungle and drum and bass genres. Part of Detroit’s second wave of artists who helped shape the techno landscape at the time was Richie Hawtin AKA Plastikman. Together with John Acquaviva, the pair launched the “Plus 8” record label that has gone on to release music from the likes of Speedy J, Kenny Larkin, and Mathew Dear. His works are considered to be the driving forces behind the rise of the “minimal techno” genre in the early 90s. Richie projects are vast and the most notable of them include “Fuse”, “Circuit Breaker”, “R.H.X”, ” two guys in a basement” and “states of mind”. As far as techno labels of yesteryear go, the ‘Underground resistance‘ or UR is probably as famous as it gets. The label stood as a symbol of rebellion against capitalism, racism and the financial pressures or the early 80s. The label has featured compositions and remixes from the likes of Jeff Mills, “Mad Mike” Banks, Gerald Donald ( Drexicya), Mark flash, DJ Rolando and Robert hood to name a few. If the accomplished techno vision of Derrick May had to be packaged into one record label then that would definitely be the legendary ‘Transmat Recordings’. The Detroit imprint has over a 100 releases to its name and is a defining point in the cities techno history. Artists such as DVS1, Carl Craig, Jeff Mills, Aril Brikha and Octave one are just some of the many who have featured on Transmat. No list of techno labels can be complete without mentioning Plus 8 records. Richie and John successfully established the benchmark when it came to techno in the early 90s. Plus 8 broke away from the drug-fuelled rave culture and wanted the project to reflect more serious and philosophical styles of techno. The record label served as a gauntlet and a stepping stone for several renowned DJs past and present such as Speedy J, Marco Carola, Kenny Larkin, Paco Osuna , Julien Jeweil and (yes you read that right) Deadmau5, to name a few. One of the earliest European techno labels to have flourished, Tresor records is the label that is curated by an institution that is credited with being quite influential to the spread of techno in the 90s. The label is an effort by the club to take it’s philosophy and aesthetic to the outside world. The label has featured artists such as Blake Baxter, Jeff Mills, Juan Atkins, Surgeon and Sleeparchive to name a few. For over 20 years, the Swedish techno-imprint Drumcode has been at the forefront of modern techno and its evolving ways. 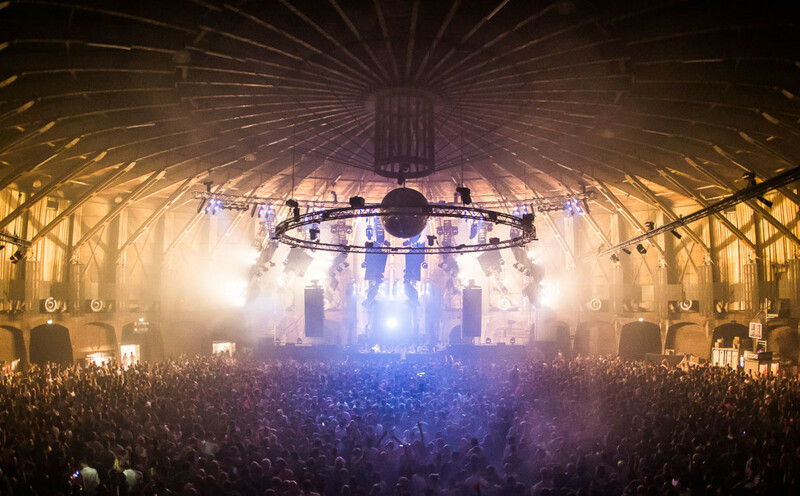 Run by Adam Beyer, Drumcode has gone on to play an essential part of Europe’s techno history and continues to release techno anthems even today. The label also hosts a radio show, it’s own electronic music festival along with serving as a platform for up and coming artists in the scene. Sam Paganini, Cari Lekebusch, Alan Fitzpatrick and Joseph Capriati are some of the names associated with this label. Audio Units choose Radio Slave’s ‘deepest space’ remix Florian Meindl’s “8 Bit Romance”. Arjun picks “Bells” by none other than Jeff Mills. Adam chooses a techno anthem, ‘Dark and Long’ by the illustrious band Underworld. Anyone getting into techno should know Underworld, these guys made some epic tracks!